When the government of ND Costas Karamanlis came to power in 2004 with a campaign spearheading against the “corruption” of the previous era of successive governments of the socialist PASOK party, people in Greece fled to streets in a blaze of glory. The determination of the Karamanlis to expose the corruption of the “media and industry barons” and their interconnections with politics, won him a comfortable first year in power. But that was it… the "system" only gave him one year. The personal prestige of Karamanlis was what kept him in power after this and it was certainly the Achilles' heel of PASOK, whose leader, and present prime minister, George Papandreou was shown in the same polls as seriously lagging behind the charismatic Karamanlis. Obviously it does not take a rocket scientist to figure out that someone who decides to do away with corruption in the system, and that is well liked by the majority of the people is not going to be liked by the “system”, now is he? While in office, he emphasized fighting political and economic corruption, privatization of some state-run enterprises and job creation, and improving education and other services, and was partially successful but he continually hit a wall by the socialist party whose leader could not measure up to Karamanlis in any way. In 2007 his government narrowly retained its majority, but he lost a snap election in October 2009 when alleged corruption scandals brought down his government and his popularity. This is what brought down his government, and not the sudden popularity of George Papandreou. The media barrons, corporations and banks that Karamanlis was battling against were the cause behind his defeat to Papandreou and nothing else. Why all this introduction? Well… over the past few weeks many articles have surfaced about the last few years of Karamanlis in office. From alleged bond scandals, to an alleged scandal about the Vatopedi monastery, to even an assassination plot, etc. We even found out this week that the US Embassy was behind the wire-tapping of the former prime minister. And one really has to wonder what the hell is going on? It is almost like there was a conspiracy to topple his government so that the present government could gain power. Now I don’t want to make room for conspiracies so its best to look over the facts and I will allow all of you to judge for yourselves. Before I do I just want to say that it is a shame that our allies operate in this way. I have so many friends in the United States and they are some of the finest people I know. I cannot, and will not allow anyone on this blog to bash US citizens on account of several corporations and strong interests that operate in their country and that totally want to destabilize this entire region for their benefit. This is cruel and unfair and it is also stereotyping. So please, if you are going to comment on this article, stick to the facts, and steer them away from the American people! When the Karamanlis government decided to move ahead with the Bourgas-Alexandroupoli piepleine which would carry Russian gas to Europe it went against the interests of the US Greco-Turkish pipeline. After the end of the Cold War the US and Russia have been in competition with one another in Central and Eastern Europe, the Balkans, the Caucasus, and in other parts of the world, on how they will control energy supplies and gain transport routes to international markets. Through its influence, the US has taken hold of the flow of energy in Ukraine, Poland, several Baltic countries, and has tried to implement its own conditions on the flow of Russian gas to Europe, thus making its own project or the so-called Greek-Turkish pipeline more appealing and attractive to European markets, (some may recall the black-outs in Ukraine last year). A serious dispute began in March 2005 over the price of natural gas supplied and the cost of transit. During this conflict, Russia claimed Ukraine was not paying for gas, but diverting it intended to be exported to the EU from the pipelines. Ukrainian officials at first denied the accusation, but later Naftogaz admitted that natural gas intended for other European countries was retained and used for domestic needs. The dispute reached a crescendo on January 1, 2006, when Russia cut off all gas supplies passing through Ukrainian territory. On January 4, 2006, a preliminary agreement between Russia and Ukraine was achieved, and the supply was restored. The situation calmed until October 2007 when new disputes began over Ukrainian gas debts. This led to reduction of gas supplies in March 2008. During the last months of 2008, relations once again became tense when Ukraine and Russia could not agree on the debts owed by Ukraine. In January 2009, this disagreement resulted in supply disruptions in many European nations, with eighteen European countries reporting major drops in or complete cut-offs of their gas supplies transported through Ukraine from Russia. In September 2009 officials from both countries stated they felt the situation was under control and that there would be no more conflicts over the topic, at least until the Ukrainian 2010 presidential elections. However, in October 2009, another disagreement arose about the amount of gas Ukraine would import from Russia in 2010. Ukraine intended to import less gas in 2010 as a result of reduced industry needs because of its economic recession; however, Gazprom insisted that Ukraine fulfill its contractual obligations and purchase the previously agreed upon quantities of gas. The Burgas–Alexandroupoli pipeline project would of transported Russian and Caspian oil from the Bulgarian Black Sea port of Burgas to the Greek Aegean port of Alexandroupoli. It would have been an alternative route for Russian oil for bypassing the Bosporus and the Dardanelles. There are several competitive pipeline projects, such as the AMBO pipeline from Burgas to Vlorë, Pan-European Pipeline from Constanţa to Trieste, Odessa-Brody-Plotsk pipeline, Kiykoy-Ibrice pipeline, and Samsun-Ceyhan pipeline - all aimed to transport oil from the Black Sea bypassing Turkish straits. The project of the Bourgas–Alexandroupoli pipeline is described as one of the shortest pipeline through a plain terrain and therefore to be one of the cheapest and cost effective. In other words, the Burgas-Alexandroupolis pipeline was the latest Russian move in an increasingly complex trans-continental rivalry over oil and gas pipelines from Russia, Central Asia, and the Caucasus to Europe and then to global markets. It also represents a Russian effort to outflank the recent moves by Kazakhstan to join the BTC pipeline and ship its oil through a projected Trans-Caspian pipeline under the Caspian Sea that Moscow opposes. The Burgas-Alexandroupolis pipeline project is clearly part of a broader Russo-Western struggle over energy policy and foreign influence in the CIS. Washington is supporting a series of infrastructure and energy projects in Eurasia whose explicit objective is to deny the possibilities for Russia to monopolize every kind of energy source in Central Asia and the Caucasus and Russia seeks to advance its monopolistic agenda with regard to Central Asia by its own projects like this one. Europe, likewise, has woken up to the need of diversifying energy supplies. Only coherent and unified efforts by Washington and the EU can advance projects to counter this Russian trend. This includes strengthening resolve to complete the EUâ€™s Nabucco pipeline or to help develop the Baku-Erzurum pipelines. But it remains to be seen where this struggle goes and who will prevail in the struggle over infrastructure and pipelines in Eurasia. While the outcome of this rivalry cannot be foreseen now, it can be predicted that this struggle is likely to intensify and spread into ever wider economic and geographic zones. The Conclusion: It is obvious that Karamanlis’ decision to approach Russia, in regards to the Russian natural gas pipeline, did not comply with US interests. Right after Karamanlis’ decision to move ahead with the Russian project, o “so called scandal” suddenly exploaded out of nowhere involving the bonds market. According to press reports at the time, unstructured bonds were sold in Feb 2007 to state pension funds. They had been underwritten by JP Morgan for the government and later sold to North Asset Management at 92.95% of their nominal value. These bonds were eventually bought by state pension funds at very high prices in the secondary market. The government-brokered arrangement came under criticism from the public as well as the opposition. In June, North Asset Management and J P Morgan under pressure and criticism agreed to buy the complete bonds issue to cover up the losses pension funds had made. Minister of Labour Savvas Tsitouridis was sacked after the incident and charges of money laundering were framed against him. For months, the Greek media bashed Karamanlis on this subject, trying to defame him and spearheaded by this so called scandal, but much to their surprise Karamanlis still had a big lead over PASOK and his opponent George Papandreou. But the climate was not in his favour, so he called federal elections on September 16, 2007. It was a smart move because it did not allow “the system” to continue to alter the public’s opinion on him. (C) PM Karamanlis himself probably did not know yet when he would call the next elections, according to Archondakis but the governor believed they should be called soon. He was aware of ND's recent slide in the opinion polls in relation to PASOK due to the social security bond scandal and the government's seeming inability to control forest fires, which had just a few days prior destroyed large forest areas on Crete. But the governor believed ND needed the elections before the next EU budget, which could cause further voter resentment. C) The governor also believed the PM should Qcored the importance of the rule-of-law issue for the current government, with which the governor also agreed. The 2008 Greek riots started on 6 December 2008, when Alexandros Grigoropoulos, a 15-year-old student, was killed by two policemen in Exarcheia district of central Athens. The murder of a young student by police resulted in large protests and demonstrations, which escalated to widespread rioting, with hundreds of rioters damaging property and engaging riot police with Molotov cocktails, stones and other objects. Demonstrations and rioting soon spread to several other cities, including Thessaloniki, the country's second-largest city. What was not said, however, but later published via a Wikileaks cable was how the US viewed the riots. Of course, all fires that damaged the southern Peloponnese did not ignite on account of political reasons, and certainly his cabinet did not do what it had to in case it had to face a state emergency of that magnitude and finally I agree that many mistakes were made. But, never before in the history of this country did fires of that magnitude occur. Karamanlis’ government did everything that a nation can do when faced with such a catastrophe. Greece's conservative government, headed by Costas Karamanlis, could face defeat in the forthcoming elections as anger mounted yesterday over its performance in tackling the forest fires that have ravaged the country. Greece’s conservative prime minister Costas Karamanlis has asked the president to dissolve parliament, and has called a snap general election for September 16th. It is some six months earlier than he needed to go to the polls, and he may be seeking to cash in on healthy opinion polls, four percent growth, a public defict slashed by more than half in the last two years, and falling unemployment. The Socialist leader Georges Papandreou faces an uphill struggle to claw back Karamanlis’s lead. With the economy looking healthy he may plug away at a series of minor scandals, the government’s handling of bad summer fires, and the slowness of the government reforms demanded by the EU, notably on pensions. But no one, not even those who create policies on the coffins of those innocent souls that died during the fires can claim that fires, of this magnitutde, at the given time, and given period occurred by chance. There is of course evidence to prove this theory, which has somehow been ignored by the Greek mainstream media, who at the time was totally against Karamanlis. Such as the numerous prank calls to the Fire Department for alleged fires in various parts of Attica, causing the division fire fighters, when fires were igniting with incendiary devices and that ended up burning the last suburban woodands surrounding Athens. The perpetrators were apparently professionals since they could not be tracked. This last point does not intend to point out the criminal aspects of this tragedy that have never been taken into consideration, but rather to raise awareness or rather to question if there was a plan to defame Karamanlis and lower his popularity with the people prior to the 2007 elections, because the PASOK leader at the time George Papandreou could not jump into the lead in the polls. Greece, which was enjoying the most tranquil period in its political history since 1996, was suddenly dragged into early elections under the shadow of a grave tragedy. Thank God citizens all over the country realized the extraordinary nature of the fires, and did not blame the government, but rather insinctivly realized that they did not occur by chance and Karamanlis won his second term in government, much to the surprise of “the system” which tried so hard to topple him. The fact that the Greek Watergate scandal was identified now, or rather five years after it was uncovered (check relevant story here), the sudden suicide of the only witness on the case, shows us that “shady forces” wanted to close the case back then and not allow it to be further investigated. Indeed the case involves espionage, and in any normal situation would be considered a felony and in no way would it be looked at as a misdemeanour. I do not know what Prosecutor Dimitris Dasoula will do (or rather has the guts to do) about this case, but it doesn’t take a rocket scientist to figure out that you can’t do the crime if you don't do the time! After a Greek veto in NATO summit in Bucharest in May 2008, the popularity of then Prime Minister Costas Karamanlis reached its all time high and the gap between the then main opposition PASOK party of George Papandreou had grown. At the time, Greece’s finances were in a rut, because of many mishaps or wrong decisions on the part of the then Minister of Finance George Alogoskoufis, nonetheless, Karamanlis was still popular and the people of Greece, no matter their political background supported him, and especially applauded his move in Bucharest. Certainly Karamanlis knew what he had to do: "The case in Bucharest is a difficult story” he had said to close associates at the time. “I will do my duty but I can not say with certainty that I will continue to be in government for long" he added a few hours before leaving for Bucharest. WL Central continues its coverage of Greek diplomatic cables, published by SKAI media group and Kathimerini newspaper. Today’s cables are focusing on the previous government of Greece, the right-wing New Democracy, with 2 cables on the internal workings of the government and 1 cable referring to the President of FYROM and the naming issue. American ambassador: PM Karamanlis is the “Buddha” of Greek political scene. In a cable dated October 3rd, 2008, the US embassy in Athens appears to be worrying about the various political scandals plaguing the Karamanlis administration, as well as his marginal parliamentary majority. Daniel Speckhard, the US ambassador, notes that despite the scandals, and the internal party troubles, Karamanlis pushed through the parliament the controversial privatization of the national air carrier Olympic Airlines as well as a bill protecting homeowners against foreclosures due to the economic crisis. The ambassador then characterizes Karamanlis as the “Buddha” of Greek politics “because he keeps his own counsel and rarely indicates what he is planning”. “The Buddha” he continues “is likely always contemplating ways to strengthen his position”. The former Foreign Minister is closer to PM Karamanlis than the current. Also former FM’s thoughts on FYROM’s naming issue. During the Karamanlis administration, the US embassy in Athens, sends a cable, dated August 20, 2007, noting that former Foreign Minister Moliviatis was not only closer to the PM than the then Foreign Minister Bakoyianni, but that he is actually the “unofficial foreign policy adviser”. The author then summarizes the conversation he had with Moliviatis, concerning the naming issue of FYROM, which is essentially a dispute between Macedonia and Greece. The former states that it is their right to use any name they want for their country, meaning Macedonia, while the latter objects to this name because the region of Greece bordering FYROM is already called Macedonia for thousands of years. The Greek part of Macedonia was also the homeland of Alexander the Great. The author then asked Mr. Moliviatis, the meaning of his public statement that Greece had gone eighty percent of the way to a solution and Skopje must cover the last 20 percent. The former Foreign Minister answered by stating that Greece had accepted the term “Macedonia” to be a part of the name of FYROM. He also noted that this was a red line for previous Greek administrations “and as FM, he had needed to push Karamanlis hard to accept the possibility that FYROM´s official name would include the term”. Skopje needed to go the last 20 percent by agreeing to a variation. This was undone in December of 2005 when Nimetz, the UN mediator, proposed a dual-name solution, which Greece was obliged to reject. According to the cable, Mr. Moliviatis revealed that PM Karamanlis was seriously considering vetoing Skopje’s NATO membership without resolution of the name issue first. “But” Mr. Moliviatis added “that might be exactly what was needed to get Skopje to take a more realistic approach to the issue”. He also mentioned that Greece didn’t have any specific strategy for the naming issue, and they wanted to know if Washington was willing to resolve this issue at that time. He characteristically told to the author that Greeks were “used to being (expletive deleted) by a big state like Turkey, but getting the same treatment from a small upstart like Skopje is unacceptable”. The publicizing of this cable has caused a turmoil the last days between Bakoyianni, now expelled from the New Democracy party, and Moliviatis, with the first accusing Moliviatis of “being preparing someone to confront her” for the presidency of her former party after Karamanlis’ step down from the party’s presidency when he lost the elections of 2009. Additionally, according to Mrs. Bakoyianni, Mr. Moliviatis “felt the need to inform about these actions the American embassy”. Macedonia’s president: I’m sure Greece will veto our NATO entry. In a revealing cable of the US embassy in FYROM, at February 7, 2008, two months before the Greek veto in Skopje’s NATO membership, FYROM’s president Nikola Gruevski states as a sure fact that Greece will veto his country. Gruevski states that “if I were Karamanlis and did not veto in Bucharest, I would hand in my resignation”. He also acknowledges that the naming issue is a basic obstacle in the European and NATO aspirations of Macedonia. He notes, though, that any compromise in the naming issue should be endorsed by the citizens in a referendum. He reveals that his Foreign Minister had recently proposed to him the names “Independent Republic of Macedonia” and “Sovereign Republic of Macedonia”. Right after Bucharest a peculiar power game with Theodore Roussopoulos who was the acting government spokesman began. He was suddenly shown as one of the leading offenders in the so called Vatopedi scandal. Even before Parliament began its investigation into the affair, Roussopoulos resigned from his posts saying that he wanted to be free to fight the so called allegations of corruption. Karamanlis’ ND government was suddenly damaged by claims that it had approved the transfer of valuable state property to the monastery in exchange for real estate of a much lower value and his popularity began to tumble. In all reality, the arrogant behaviour of Roussopoulos is what really ticked off ND supporters, and not Karamanlis’ decision to support his team. All the ministers that were signalled out in the case avoided prosecution and all charges were obviously dropped. Evaggelos Basiakos, Alexandros Kontos and Petros Doukas, were cleared of all accusations. Two more ministers, Roussopoulos and Giorgos Voulgarakis, were also cleared. And one has to wonder… WTF? Some say that there are many indications that political intrigue and other dark purposes are behind the so called ‘Vatopedi scandal’, and one of the reasons it took so long to investigate it. The slander of Orthodoxism and Mount Athos as well as the obvious downfall of the Karamanlis government did not happen by chance. It was obviously part of a larger plan. I mean… where are the bribes? Where are the offshore companies that PASOK MPs so gallantly accused all those accused with Vatopedi of having? Where are the kickbacks that ND deputies apparently received? 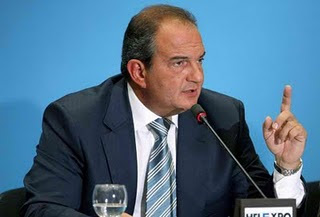 Greek political magazine Epikaira on Thursday June 17, 2011 unveiled a report from Greek Secret Services (KYP) that claims a conspiracy was designed in 2008 that would lead to the eventual assassination of the former Prime Minister of Greece Kostas Karamanlis. The Russian officials uncovered the assassination plot codenamed “Pythia 1”, and, after analyzing the evidence, concluded that it was the brainchild of an allied country. More specifically, the planned assassination would be carried out by a "shady" team of individuals, and was directly linked to Karamanlis’s pro-energy policies and tight relations with Russia, which the west and other Greek allies did not approve of. The assassination plot against Karamanlis had as its objective to postpone and/or cancel his government’s decision to move ahead with an energy policy that would make Greece a fair player on the global energy market, while it was part of a larger plan that was set to totally destablize the country’s economic and political system. First Phase: Political instability. During Karamanlis' run as Prime Minister, the political climate in Greece began to crumble and the mainstream media (which some hint were bought out to do so) suddenly began broadcasting stories suggesting that the government of Karamanlis was accepting kickbacks or was involved in money laundering in the Monastery of Vatopedi case. The news began to tarnish the image of Karamanlis’ Cabinet, while the aim was to strike at the core… Karamanlis himself so that he could lose his credibility with the people. It worked. After months and months of propaganda, the people turned their back on Karamanlis, his political career was totally tarnished, and he lost the elections to George Papandreou in October 2009. Second Phase: Economic unrest: This was achieved with various methods that even included the various kidnappings of several prominent businessmen, throwing the business community in a panic. Third Phase: Social instability. This was implemented with various forms of social unrest, including terrorist acts. Fourth Phase: Weaken Foreign Policy. Karamanlis’ foreign policy began to suddenly show signs of weakening and Greece began to suddenly lose ground with its allies. In a follow-up story to this serious accusation, Greek political magazine Epikaira on Thursday unravelled even more information on this shocking story with even more hair raising details about the conspiracy against Karamanlis in 2008 that had as its aim his eventual assassination. The magazine stated that he had apparently received notice of a Western plan that had as its goal the termination and/or delay of the South Stream gas pipeline, and part of this plan also included the assassination of Kostas Karamanlis (noted in the classified document as ‘the target’). The Russian agents placed great importance on this last point in their report to the Greek secret services saying that Papandreou found out about this plot and knew of its existence via his silent advisor. The 25-08-2011 edition of "Epikaira” magazine confirmed reports that claimed Greek Prime Minister George Papandreou held secret talks (and possibly even made agreements) with Israel and the US on the subject of the Cyprus-Israel energy venture as well as Greek oil and natural gas. According to the article, the topic of energy was the focus of discussions when Hillary Clinton came to Greece, contrary to all the reports from government officials at the time that claimed this wasn’t so. Just three days after the US Secretary of State left Greece, a new law on the establishment of the institution that would conduct tenders for oil surveys was said to be entering the final stage, while the announcement of an international invitation for seism and geological surveys is expected to follow. According to a separate report by capital.gr a parliamentary committee scheduled a second reading of the bill tomorrow, before it would be tabled to the assembly. Deputy Environment Minister Yiannis Maniatis has apparently “facilitated” the new institution, as the first two projects have been already launched: the modernization of legislation and the conduction of seismic and geological surveys. Sources told Capital.gr that the international invitation would be published in the coming two weeks and its text is under preparation based on the results of the consultation. ICG believes that the trade-offs is the only solution to resolve once and for all the problems that exists in the Aegean and suggests among other things the demilitarization of Aegean islands in exchange for the dissolution of the Turkish 4th Army, the public recognition of vital Turkish interest in the Aegean, the ratification of UNLOS in the Aegean and the selective expansion of Greek territorial waters. In substance, this anti-Greek NGOs serving particular interests (see the treacherous role of NGOs in Greece and Cyprus), fully adopts the Turkish claims in the Aegean attempting to give impetus to the secret diplomacy of Prime Minister George Papandreou. The perception of the media as the fourth power is not at all new. Like their relationship with the government. According to the secret telegrams that leaked into Wikileaks, the Greek media are synonymous with corruption, their journalists are poorly paid, and the published information - soaked from bias and anti-Americanism. "Incestuous like the relationships of the Greek gods" – that is how the former U.S. Ambassador to Athens Charles Rhys defined the relationship between the owners of the Greek media, the politicians and the government. The text is part of a telegram on corruption in the Greek media and its implications for the US policy he sent to the US State Department in July 2006. According to the US diplomat, "the Greek media are controlled by a small group of people who have created or inherited their property through companies in the field of maritime transport, communications, banking, oil and others. They are connected through arranged matches or marriages for politicians and government functionaries and/or other major businessmen." Charles Rhys believes that the mass media in Greece are managed by tycoons who can afford to fund their loss-making enterprises in the media as result of the successful operation of their other companies" to "exercise political and economic influence." According to the former Ambassador, the Greek media in turn often present an almost identical picture with the only difference in party lines. "Similarly, an identical anti-Americanism is added to almost every subject, which, however, has insignificant influence on the bilateral relations." "The Greek term "corrupt" means exactly the network of interconnected interests between the media, the businesses and the government," adds Rhys Charles. "The connections (between them) are more complex and "incestuous" from the relations between gods, demigods and humans in Greek mythology." As for the journalists, he writes that "they are poorly paid and often work in several media to be able to pay their bills. It is not uncommon for a journalist to work in the ministerial press service, although the reports of the specific department are in his portfolio. They are fully aware of the many chiefs they have (...) It is also common for journalists to receive gifts, even money from people who are related to the reports they make. It is known that the Organizing Committee of the Olympic Games Athens 2004 was paying journalists to write positive reports." The US diplomat presents the history of the Greek media from Homer to the Age of the Internet. "Homer has made a "report" about the Trojan War a few years after its implementation and used the events to create a poetic epic of battles between the gods in which people were pawns. Today’s Greek media use the same "mixture" of events and fantasy with an equal dose of "Deus ex machina", i.e. external forces that control the events." Charles Rhys notes in his telegram that some media owners in Greece have "oil connections" with the Middle East, and others have ideological or financial reasons to resist globalization. "Today, as in the 800 year BC the Greek public opinion is flooded with myths, scapegoats and conspiracy theories in which the USA is presented as a "Planetary Leader" responsible for the internal problems of Greece and the decline of its charm on the international arena." According to the former Ambassador, "if the Greek media owners choose to radically change their position (...) we could report a progressive reduction of sentimental anti-Americanism, which is typical of the media and a turn to more objective and based on event reports. The good news is that our relationship with the Greek government remains strong, despite the efforts of the media. In this way, the Greek public opinion feels comfortable to express its anger against the US foreign policy, while admiring many of the traits of the American culture. " Not many Greeks were surprised by the contents of the telegram. Suspected relations between the media tycoons with the power, the uncontrolled granting of permits for television and radio stations and the publication of "revelations" about one or another politician in order to cancel their obligations or to exercise political pressure are commonly used. At the same time, one of the central Greek televisions is only a step away from the closure. TV ALTERA stopped live broadcasts on Monday and it is not clear whether this is due to the strike of the 160 technicians or to management’s decision. Half of the bank accounts of the media were blocked a few months ago because of unpaid debts to the state and the employees have not received salaries for more than 3 months. According to some sources, a large telecommunication company is interested in buying the media. That will happen only if the audit results of the English financial house Argo are positive and it gives "green light" to the investment. With the threatened closure and a large number of publications which have so far been passed by the state press releases. In conditions of severe economic crisis, however, it was impossible to continue. Instead of newspaper publications already placed in the web pages at no cost to the state budget. The disruption of this source of funds suffered most provincial newspapers. After all this evidence, is it just me…? the present government could gain power. PASOK MP to attend Turkish event that celebrates deaths of thousands of Greeks! The Muslim Community in Thrace, in northern Greece, is today celebrating the end of Ramadan, but some of the members of this community, which call themselves Turks, are also celebrating zafer bayram or zafer gunu, namely Turkey’s "Victory Day" against the Greek Army in Smyrna, according to an article that was featured on the taxalia site. Expected to be present at today’s (I do not want to characterise) events in Komotini, will be the former vice president of Turkey Ali Babacan, but so will PASOK deputy, Ahmed Chaztiosman. The news of a Greek MP attending this event shocked me and I found it very insulting. How can a Greek MP, from the Greek Parliament, who has sworn to defend Greece, and Greek interests attend an event that is celebrating the deaths of thousands of Greeks? "(Today) we celebrate the burning of Smyrna on Greek soil!" And I ask… it is one thing supporting and safeguarding the rights of minorities, but it is definitely another to celebrate the slaughtering of thousands of innocent Greeks… on GREEK SOIL. This announcement is shocking, and provokes every ounce of filotimo we have as a people. And I ask… why is a Greek MP attending this event? Who the hell gave him the right to even go near an event that goes directly against the interests of the Greek people and this nation? He should immediately resign from Parliament and move to Turkey where I am sure he can easily continue his political career. Shame on him, and shame on everyone who continues to provoke our filotimo as a people. Victory Day (local name: Zafer Bayramı) on August 30 is a national holiday in Turkey to commemorate the victory in the Battle of Dumlupınar, the final battle in the Turkish War of Independence in 1922. The Battle of Dumlupınar, according to Wikipedia was the last battle in the Greco-Turkish War (1919–1922) (part of the Turkish War of Independence). The battle was fought from 26 August to 30 August 1922 near Kütahya in Turkey. The following article was written by Constantine Callaghan and Maria Karathanos and featured on the Athens news site. It is an interesting account of today's Albania, the Greek minority in its southern region as well as the ethnic tensions that still exist in this area after so many years. In the Athens neighbourhood of Metaxourgeio buses leave every evening for Albania. The passengers carry with them boundless amounts of luggage and cardboard boxes that resemble moving home rather than going on holiday or for a short visit. Their tickets are one-way. Petros, who runs a travel agency specialising in bus travel to Albania, said that business was going well for his company for two reasons. Firstly, Albanians are returning to Albania because of the crisis in Greece. Secondly, tourism is a growing market in Albania and bus travel is the cheapest way to get there. This opinion was shared by a second travel agent, Aphrodite, who claimed that many Albanians were making their way back to seek opportunities in their home country. From 1948 to 1991, Albania was isolated from the rest of the world. Only two decades ago, it was almost impossible for a foreigner to enter the former hermit communist state, nor was anyone permitted to leave. Enver Hoxha’s dictatorship lasted 45 years and cost two generations their right to individualism through the banning of religion, private property and freedom of movement. The extensive network of informers and secret police meant that bands of people vanished into Albania’s many prisons. When communism eventually collapsed in 1992, seven years after Hoxha’s death, vast amounts of people left a country which had to make the difficult adjustment from a communist dictatorship to a modern democracy in what became known as the democratisation period. Today, many of those who left behind a struggling depressed country are beginning to see a future in Albania as the global economic crisis stagnates European economies. In contrast to Greece, where the economy deflated by 4.5 percent in 2010, Albania witnessed a 3.5 percent growth rate. 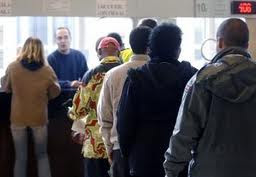 Albanian migrant workers who left for Greece sent back 2.2 billion euros between January 2003 and May 2011, making a substantial impact upon the Albanian economy. Albania managed to avoid being plunged into the global recession but, as Aphrodite warned, it is still a poor country with a lot of poor people. As both ethnic Greeks and migrant Albanian workers return to Albania, tensions remain high in the northern Epirus region between the indigenous Greek com¬munity and Albanians. Clean-shaven and simply dressed in shorts and a T-shirt, Leonidas from Saranda is a likeable, modest, softly-spoken charismatic individual with an encyclopaedic knowledge of the region, its history and contemporary politics. Together we drove to the highest vista in Saranda, location of the Ottoman Likursi Castle. From this vantage point Leonidas could point out the designated Greek minority zone and each village that it encompassed in what was a flat green valley, a marshland until a canal was built to create better agricultural conditions. 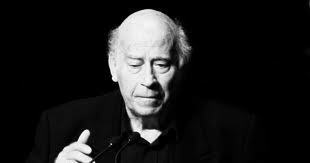 Leonidas said it was impossible to know exact figures, but he estimated that out of the Greek community who used to live in Albania about 80 percent had left for Greece; many of them were now returning. Between 1991 and 2001 the indigenous Greek community in Saranda shrank by almost half, whereas the Albanian community increased. In February 1995, the Human Rights Watch released a report which focused on the treatment experienced by the Greek minority in Albania. The NGO’s report claimed that, on the whole, relations between indigenous Greeks of northern Epirus, a term used by Greeks but rejected by Albanians, and Albanians had been peaceful, but many serious problems remained concerning freedom of expression and religion. The Greeks of southern Albania are indigenous to the region and recognised by the government in Tirana as a national minority. As I travelled with Leonidas around the city of Saranda he explained to me that the difficulties faced by the Greek minority in Albania were still mostly regarding education. The main problem is that the designated zone which gives rights to minorities only covers a small part of where the Greeks live. Furthermore, it doesn’t include Himare, where the majority of inhabitants are Greeks. What’s striking is how connected the Greek minority in Albania is to the Greek state. Leonidas, an example of the Greek minority of Albania, enjoyed the same services as others did across the border – Greek mobile phones, internet service providers operating from Corfu, cuisine, music, flags, Greek Orthodox churches and, most importantly, the ability to speak Greek. When walking along the streets of central Saranda, apart from the extraordinary numbers of Mercedes cars, it is easy to forget that you are outside Greece. Leonidas lived through the final years of the Hoxha years and was able to leave Albania after the fall of communism to study in Thessaloniki. Once he had completed his master’s, he returned to Saranda, where he runs a successful business and is raising a family. He is typical of many indigenous Greeks from the region. His mother tongue is Greek, but he can also speak Albanian and uses it for official purposes. That same evening as day turned to dusk we drove along some precarious rural roads to the Greek-inhabited village of Aliko inside the designated Greek minority zone. Posters printed in Greek announcing the recent August 15 celebrations were attached to lampposts advertising musicians that were to perform in the religious celebrations. Aliko boasts a new church which was designed by Leonidas. In contrast to the pristine new church, the dilapidated town hall sits in the village square, with Greek, Albanian and European Union flags handing outside. Leonidas took me to a statue at the far end of the square to explain the brutality of the communist regime. The statue portrayed four young men. They were ethnic Greeks from Aliko who in 1990 tried to cross the border into Greece but were caught by Albanian soldiers. They were executed to be made an example of and as a warning to others wishing to attempt escaping. Leonidas had made this statue in memory of the victims. Without doubt, life in Aliko today is much better and basic rights are guaranteed, as an official minority zone. Yet there are native Greeks beyond this designated zone. Sixty kilometres north lies the town of Himare, whose population is 85 percent Greek. After we returned to Saranda, I took a minibus north along the coastal road to Himare. The town is populated by roughly 11,000 inhabitants, predominantly Greek – over 85 percent speak Greek as their native language. A university professor from Ioannina explained that in the 1970s under Hoxha’s regime, Greek-inhabited coastal towns such as Himare and Saranda had something of a demographic transformation. At that time, military officers, secret service personnel and other state officials were posted to the coastal towns, paving the way for a shift in demographics. Leonidas had arranged for me to meet and stay with some of his friends who live in a hamlet just outside Himare. Bar the children of the family, most had lived through the difficulties of Hoxha’s communist Albania. To add to their hardship, they had started feeling vulnerable after a string of disastrous events – uneasy democratisation process in the early 1990s, the collapse of the Ponzi pyramid scheme which destroyed the economy, let alone many people’s livelihoods, resulting in a near-civil war in 1997 and the rising anti-Greek Albanian nationalism. Eleni, a teacher of Greek theology in Himare, whose name was changed for this article, told me how the Greek community was afraid to speak Greek and felt discriminated against by the Albanian state. Eleni spoke elegantly about her friend Aristotelis Goumas, who made headlines in Greece last August after he was murdered by an Albanian nationalist from the town of Vlore. It was reported that three Albanians had demanded that Goumas not speak Greek in his own shop. An argument broke out and some hours later the three Albanians followed him and murdered him in a hit-and-run attack. Goumas, a native of Himare, was a victim of a racially motivated murder which prompted a strong response from Athens. Prime Minister George Papandreou stated that “the rise of nationalism among extremist groups targeting the Greek minority in Albania is a very serious matter”. The attack was also condemned by Albanian Prime Minister Sali Berisha. Eleni took me to a shrine set up in memory of Goumas that sits in the castle village just outside the town. The significance of the murder is that it made the minority feel even more insecure and served as a benchmark in increasing ethnic tensions. As we drove up to Goumas’ memorial shrine one noticed the graffiti sprayed across roadside barriers, showing the elevated tension between indigenous Greeks and Albanians: “Himare=Greece” is painted in blue on the walls of the Greek Orthodox cemetery, while on the opposite side of the road startling red letters read “We love Chams” in reference to ethnic Albanians that inhabit northwestern Greece and parts of southern Albania. It is impossible to calculate the exact numbers of the Greek minority, as the last time a census was conducted in Albania was in 1989. A census was scheduled to take place this year, but it has been the source of much controversy and was postponed. Ethnic Greek organisations are pushing for the right to declare their ethnicity on the census, whereas large swathes of Albanian society fear this might support any irredentist claims of northern Epirus. The Vlachs’ priest in Korca immediately rejected the statement as irresponsible. The imam of Dine Hoxha Mosque in Tirana has been vocal about his opposition to the census in line with Albanian nationalist sentiment alleging that the census poses a threat to Albanian territorial integrity and would not be in the interest of the Muslim community. In line with Albania’s ambitions to eventually join the European Union, it is important for the country to be able to define itself demographically through a census. But at the moment there is no solution, as economic uncertainty continues in Europe as a whole and busloads of people keep returning to Albania on one-way tickets. "You know something... Greece is dying. We're dying as a people. I don't know how many thousands of years (we have survived)... among broken stones and statues... and (now) we are dying. A Word to the Wise and to All who want to see our death: You can stomp, burn, and vanish all the flowers of the world... but you will not AND CANNOT ever block or forbid the coming of the spring! Everyone Syntagma Square on September 3, 2011.